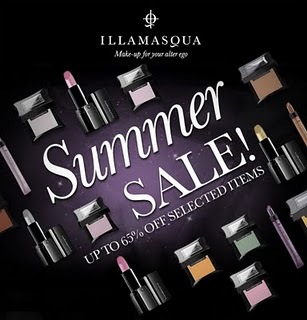 Illamasqua’s Summer Sale has arrived in the London Beak Street Flagship store! Powder Blusher in Complex is a stunning rich terracotta. This colour-intense product allows you to create definition and be bold. Perfect for livening up a summer evening! Sheer Lipgloss in Explode is a delicate iridescent creamy pink, a sensual and enhancing product for your lips. Use on its own for a subtle gleam or over a bold red Lipstick to add dimension. Be playful with Illamasqua’s legendary Pure Pigment in Conquer, a shimmering forest green. A metallic, high-shine, pure-colour powder that is incredibly versatile. 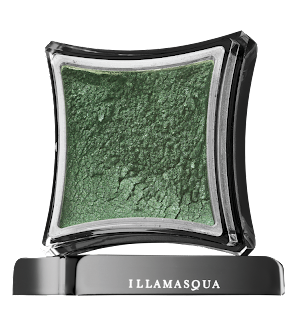 This looks gorgeous as a liner on your upper lash line. Mix a drop with Sealing Gel to intensify.